The PATHWAY® 3G Modular Access System consists of ramps, stairs, and platforms, all of which may be combined and configured in a variety of ways to provide a customized access solution for your home. 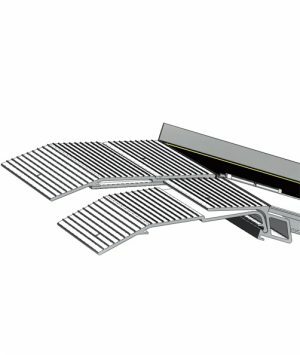 The PATHWAY® 3G Modular Access System consists of ramps, stairs, and platforms, all of which may be combined and configured in a variety of ways to provide a customized access solution for your home. 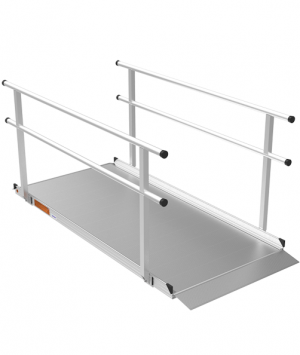 Its unique features, including universal components and interchangeable surface and handrail options, make it an excellent choice when your residential access requirements extend beyond the scope of a portable ramp. If your needs change, the PATHWAY 3G can transition with you. This American-made modular system is made of durable aluminum and comes complete with our lifetime warranty. Powder coating options are also available. Call customer service for additional information, or click through the tabs below. 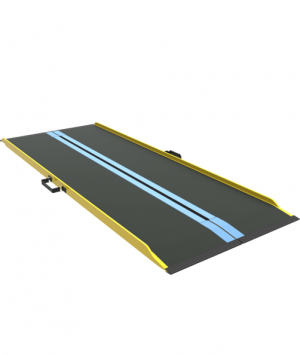 The PATHWAY 3G allows for infinite modular ramp and platform configurations, creating safe and seamless access for both standard and unique entryways. 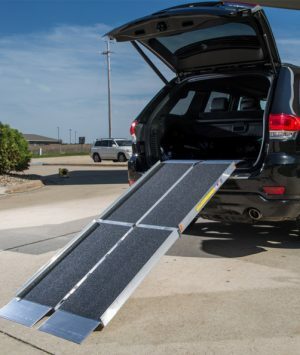 Ramp lengths from 2′-8′ and platform sizes up to 8’x5′ enable you to overcome any access challenge at your home. Choose from three surface options – solid, expanded metal, and perforated – to meet your needs. The solid option features an extruded tread surface with raised ribs to provide exceptional slip-resistance. Expanded metal utilizes diamond-shaped openings to allow multi-directional traction and reduced surface accumulation. The perforated option starts with our popular solid surface tread and adds stamped (punched) holes to provide increased drainage and a functional, architectural design. Four handrail options are available. These component-based rail options are easy-to-assemble and customize. All styles are made of aluminum and feature a durable finish with a continuous top rail. 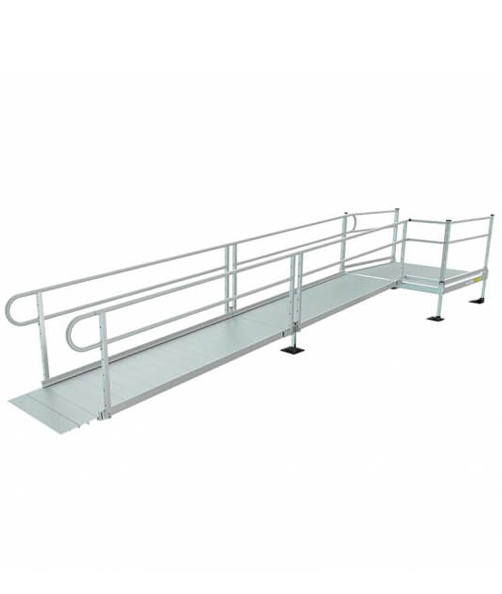 Single rails are a versatile, one-line handrail solution and are the most economical choice. The most popular handrail configuration, the two-line rail provides an additional gripping surface by adding a second rail below the continuous top rail. Vertical pickets offer an added level of safety, especially for children and small pets. Our pre-assembled aluminum inserts meet the 4-inch sphere rule for spacing. Horizontal pickets offer an aesthetic option while maintaining safety. These horizontal inserts run parallel to the topmost rail. The PATHWAY 3G is made of high-strength aluminum which will not deteriorate in the outdoor elements and features slip-resistant surfaces that maintain traction in any weather. Sides are finished and flush with no hazardous nuts or bolts protruding into the usable ramp area. The PATHWAY 3G is virtually maintenance free, it will not rust or rot and is constructed from an environmentally friendly material. The ramp system will not impact your home’s property value because it does not alter or add to the structure of the residence – no poured footers, no construction – just simple assembly. The PATHWAY 3G installs quickly, which means minimal disruption for you and your family. Typically, a 24-foot system can be installed, including handrails, in less than an hour.